Blue Steel from Ever After is part of the Ever After Feminine Chic collection which I recently wrote a review for. 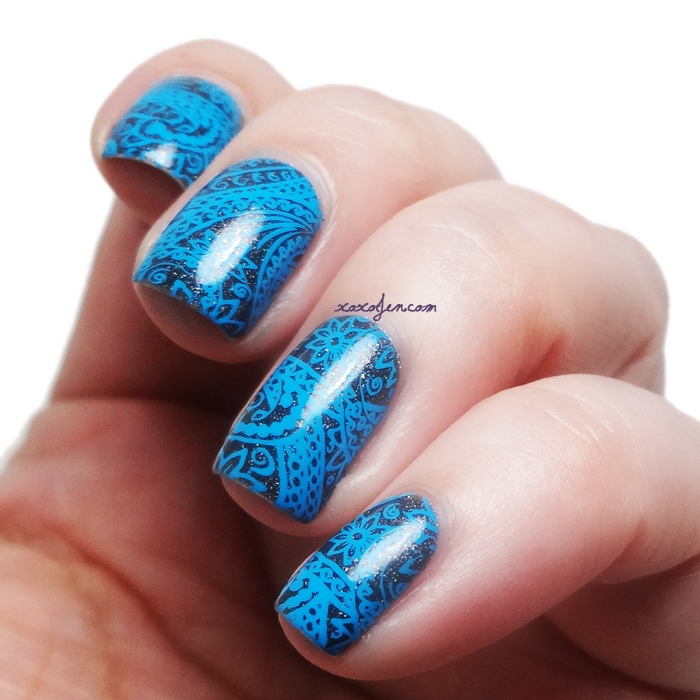 When I wore Blue Steel I decided to try some nail art stamping over it. Such a beautiful denim-like base with flashes of teals and blues would surely be awesome under a bright design. I used Vivid Lacquer Plate VL041 with MDU 5 and a candy head stamper. I love the paisley design and how it contrasts with Blue Steel! The entire Ever After collection will be available 11am central September 25 at the Ever After online store. It's an amazing collection that you won't want to miss! Rachel is offering special discount codes! 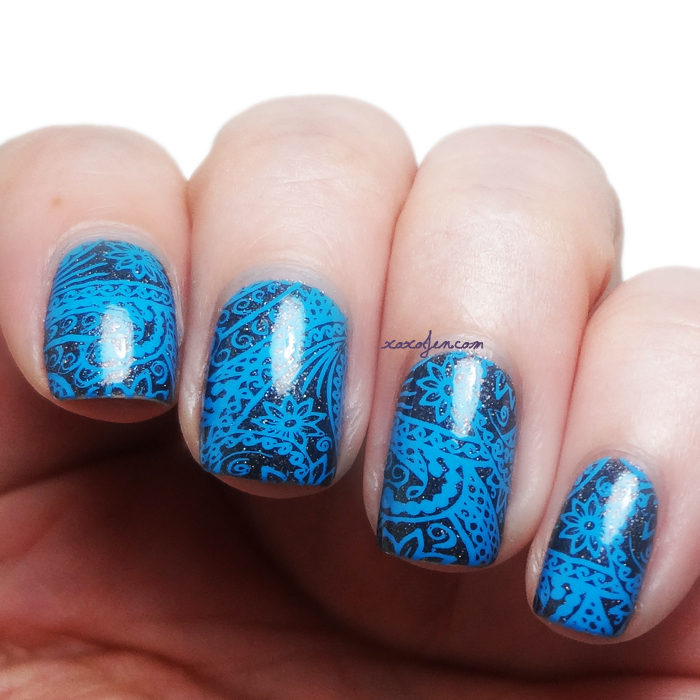 The blue stamping is absolutely amazing!